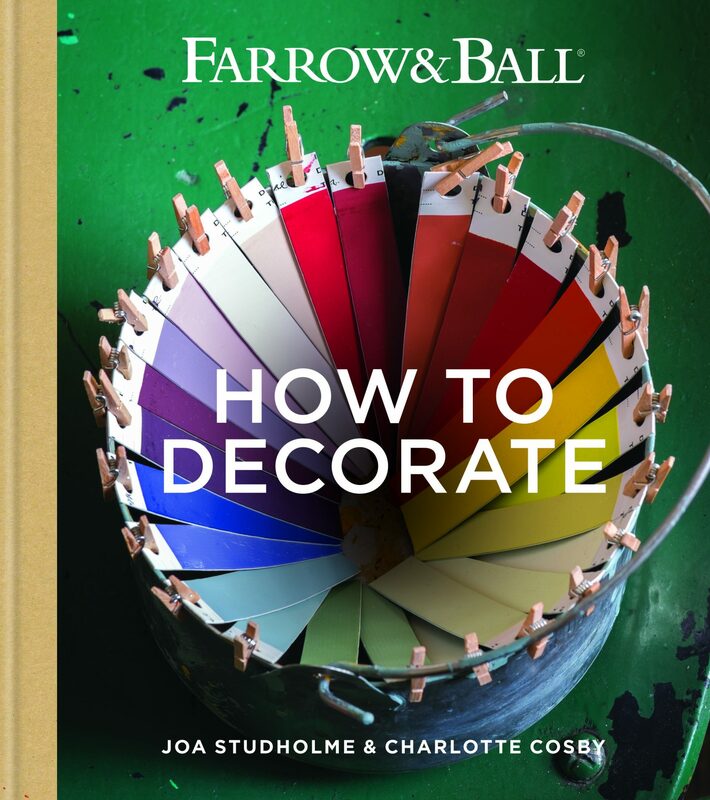 We adore the color advice in Farrow and Ball’s new book by Joa Studholme and Charlotte Cosby! 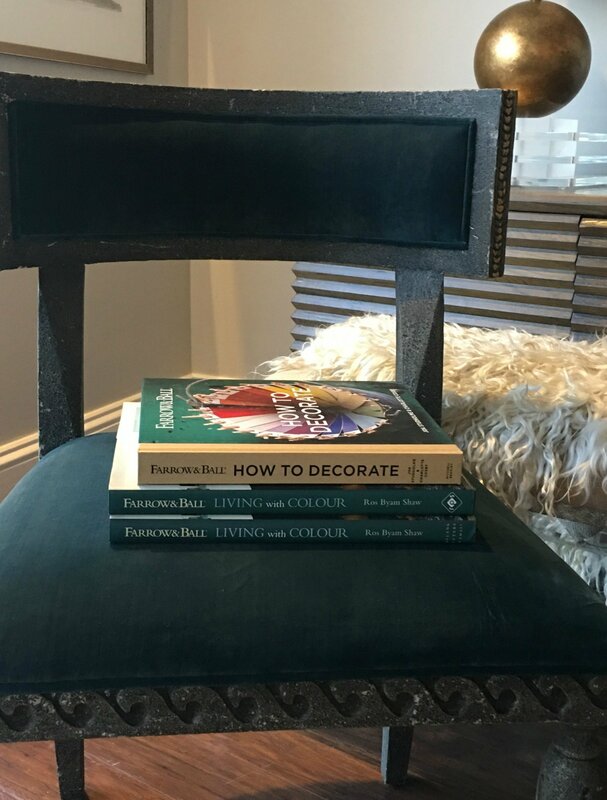 It sits pretty on our front tables to be picked up for purchase, but our “store copy” has a permanent place on our work tables, already covered in paint and getting worn as our favorite GO TO resource when helping clients choose color. 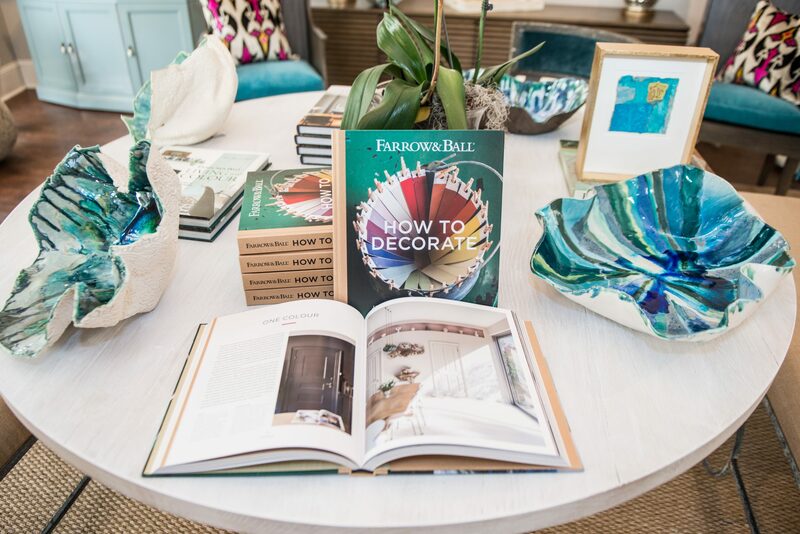 When these internationally renowned color experts talk about “How to Decorate” they are talking about how to paint. This is The Ultimate Guide on how to use paint and color, light and pattern to transform a space. Color is a big deal! It’s the largest design element in a room and sometimes the most difficult decision. When we get it right, it perfectly compliments everything else in the room and creates harmony. When color is wrong, everything else in the room feels wrong. Most of us have experienced a bad color choice at least once – and once is enough. Getting good advice quickly restores confidence in choosing color. You can pick up your own copy of this fabulous resource in our stores, or stop by and use our copy along with our other color testing tools and in store advice. Or if you are simply a “color geek” like Joa, this is a book you’ll want to own! Having joined Farrow & Ball over 19 years ago, Joa Studholme has amassed a vast wealth of experience. From developing the new colours to consulting on design projects, Joa has worked with the paints and papers every day on both residential and commercial projects. A self-confessed ‘color-geek’, Joa’s passion for interior design and color means her own home is under constant renovation and she claims to redecorate it at least once a month. Head of creative, Charlotte Cosby, has been working with Farrow & Ball for the past eight years. Charlotte began her career in finance, but she soon realized that her heart was in the creative world and she moved to Farrow & Ball in 2006. She has full responsibility for creative direction, including product development, brand identity, photography, showroom design and much more. Charlotte is passionate about pattern, color and design and spends much of her free time redecorating her beautiful Victorian apartment by the sea. 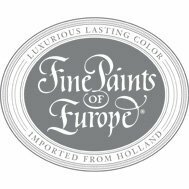 Paint pioneers John Farrow and Richard Ball founded their company in 1946. They met while working at a local clay pit and later went on to build their first factory in Dorset, southern England, where the company is still based. 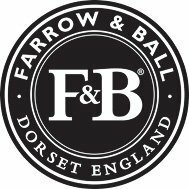 Farrow & Ball is now one of the world’s leading home decorating brands, manufacturing decorative paint and wallpaper that transform homes around the globe. Farrow & Ball paint is distinguished for its depth of color and unique finish developed through the use of high levels of pigment, rich resin binders, and ingredients with a high refractory nature. In addition, its complementary wallpaper products are handcrafted using Farrow & Ball paint with traditional block and trough printing methods, creating a distinctive tactile texture.